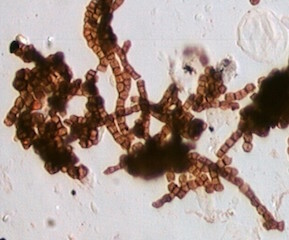 The capillitium is part of the sporophore, or fruiting body, of the Myxomycetes, or slime molds. 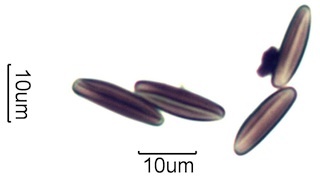 They can vary in length from about 100 micrometers to over 500 micrometers but they tend to have about the same width. 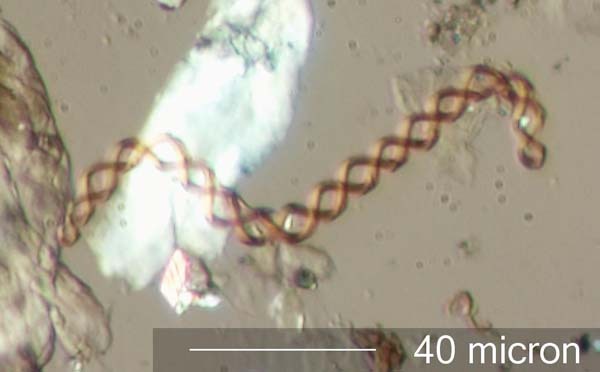 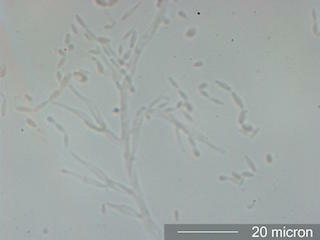 These are sterile filaments and in their final form are unattached. 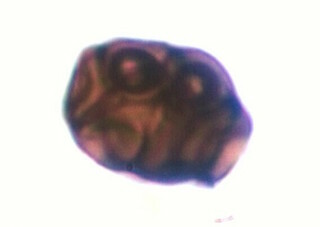 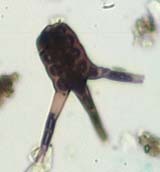 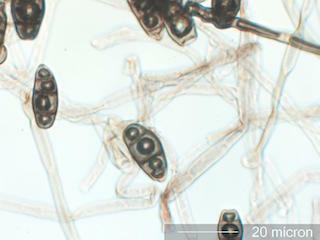 They are believed to be involved in the dispersal of the spores. 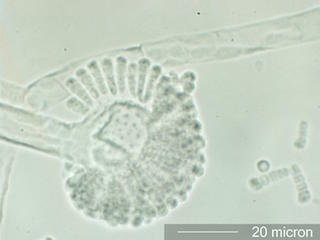 The capillitium is a tough flexable structure that persists in the environment. 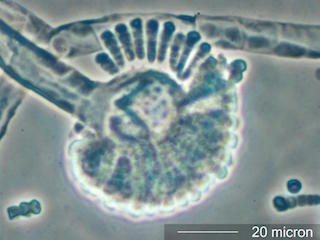 They are found in water samples, air samples, and on surfaces in many environments. 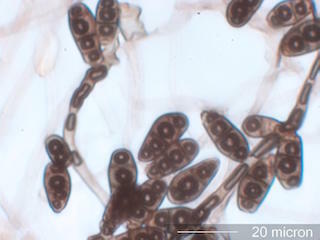 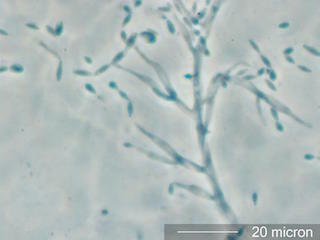 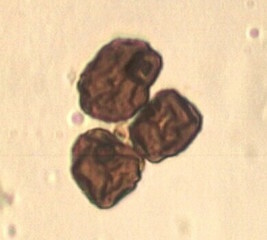 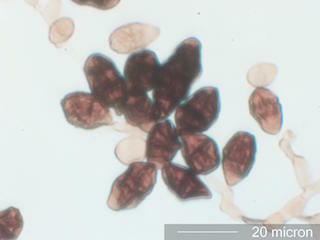 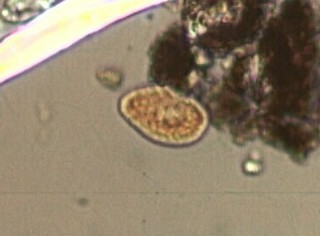 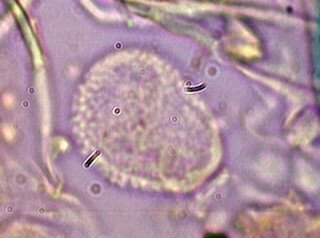 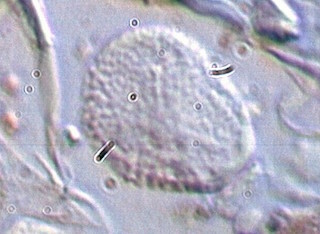 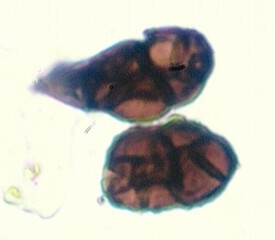 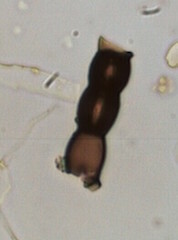 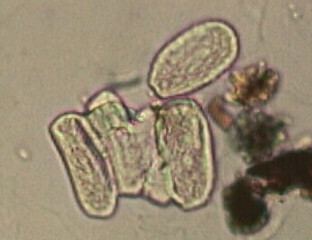 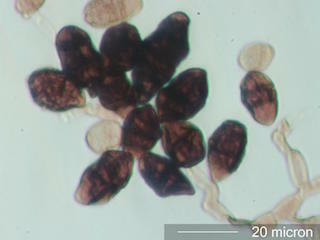 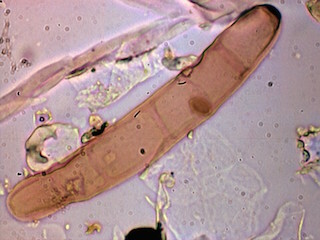 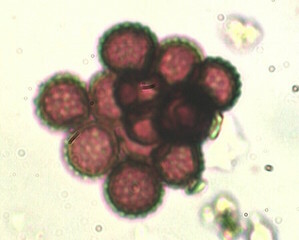 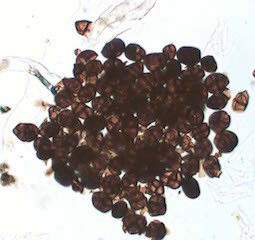 Paraphyses are sterile filaments associated with the fruiting bodies of the Ascomycota and Basidiomycota, the asci or basidia respectively.